Start off with your choice of two new cocktails: the Shiso Mojito ($14), made with rum, shiso, citrus and fuji apples and the Pisco Elevation ($13), made with pisco, elderflower liquor and lychee. 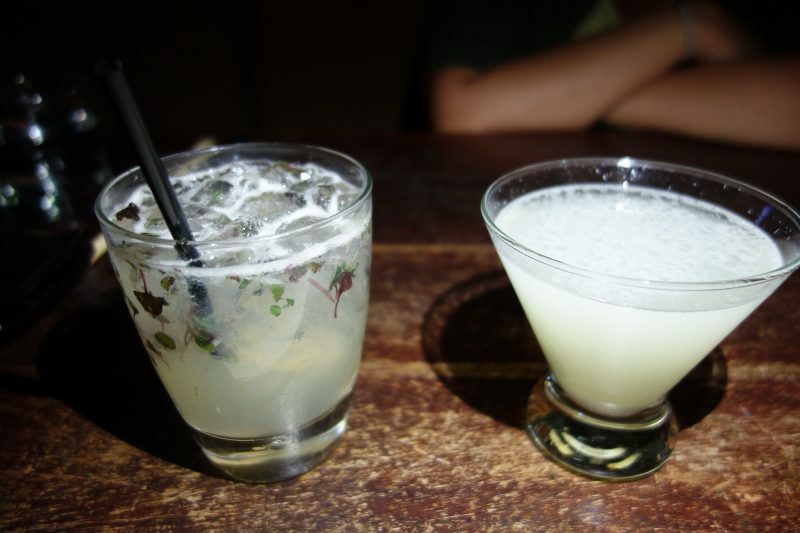 The Pisco Elevation was a bit too sweet but the Shiso Mojito is balanced with good acidity. 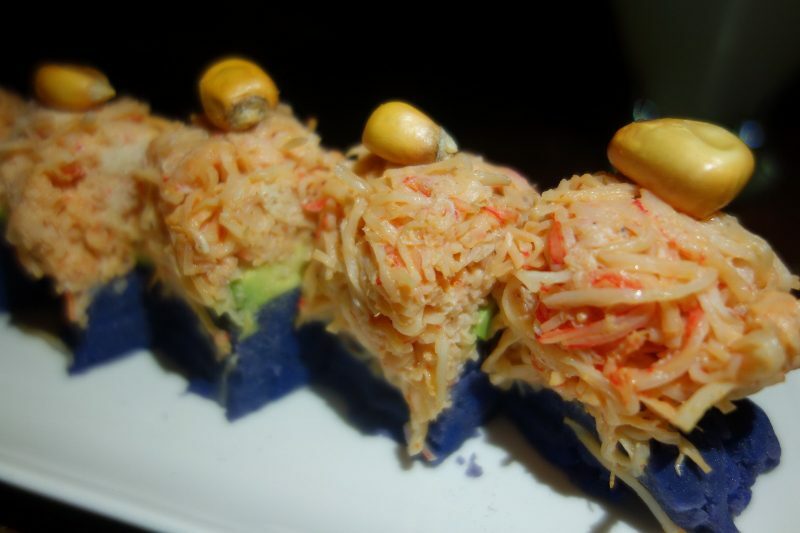 The Spicy Crab Potato Sushi ($10) (avocado, malay curry, crispy corn cancha and yukon potato) has a kick but the creamy potato softens the kick. 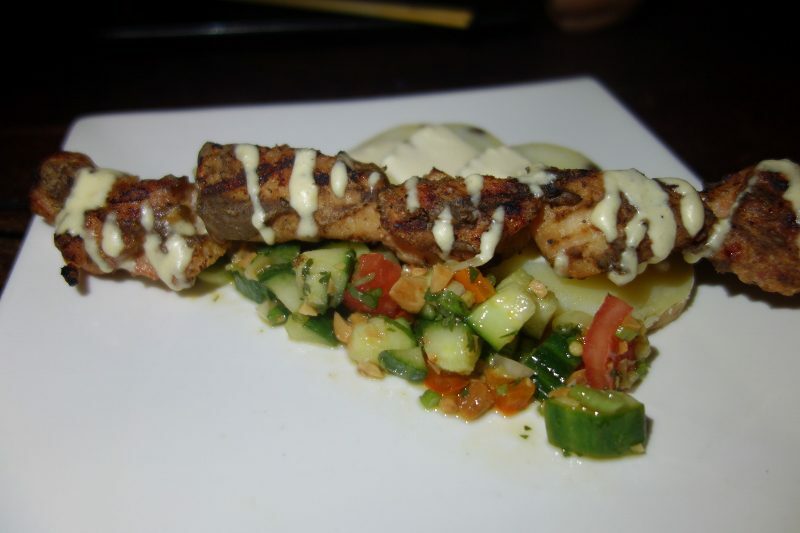 The Chichen ‘A La Brasa’ Satay ($13) (chicken with black bean glaze, cucumber rocoto salsa, toasted peanuts and potatoes huancaina) is tender and juicy. 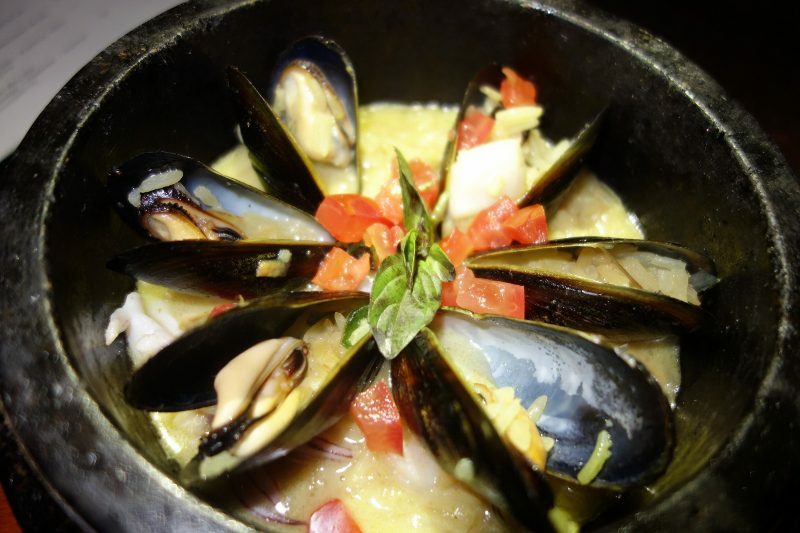 The Arroz con Mariscos ($14) (mussels, scallops, calamari, shrimp over Malay rice with yellow curry and thai basil) was full of flavor and you may want to get some extra bread to dip in the broth when you finish the seafood. 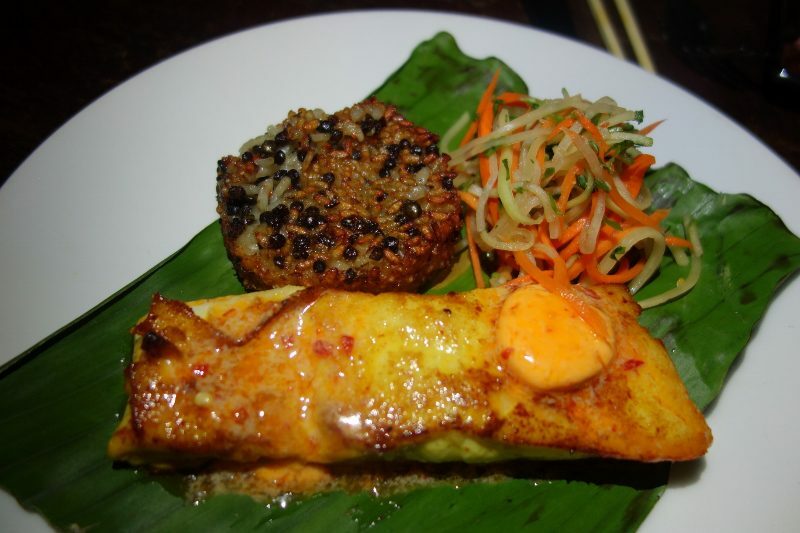 The Char Roasted Skate ($28) (with a ginger marinade served with crispy lentil rice cake and sambal butter sauce) was delicate and rich. 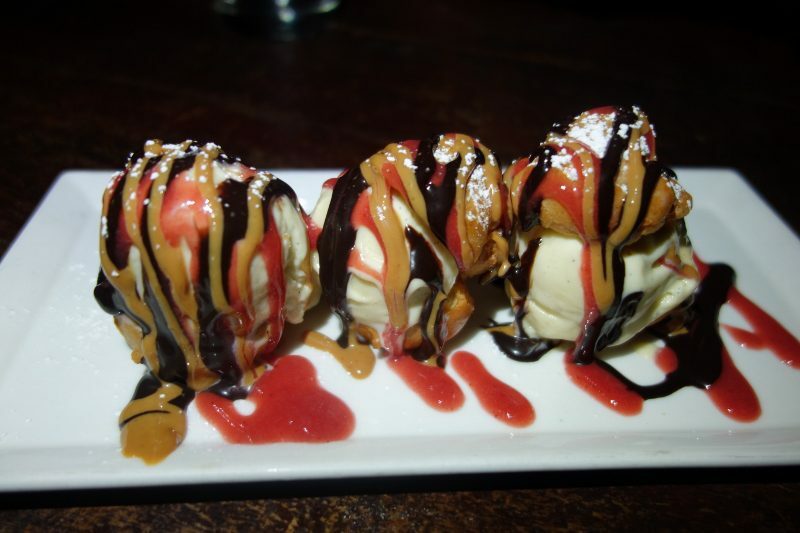 The meal was finished with the Profiteroles ($9) (cream puffs filled with coconut ice cream, manjar blanco and covered in chocolate sauce). I wonder what the Test Kitchen will come up with next! This entry was posted in Cocktails, Food and tagged Denver, New York, restaurant, Richard Sandoval, Santa Monica, Test Kitchen, Washington DC, Zengo by Allison Levine.